"Listen Up - Laugh It Up"
If your company or group hires professional speakers, this is a great opportunity to “sample” a variety of styles. Ready to chart your course for success? Then set your GPS for the 17th Annual Speakers Showcase. Be introduced to a dozen speakers as they map out their strategic messages in 12‑minute sound bites. Compare speakers representing a range of price points. See how each speaker interacts and connects with the audience—and with you. During lunch, you can talk to the speakers to learn more about them and their program options. You’ll have time to network with peers and hear about their experiences. 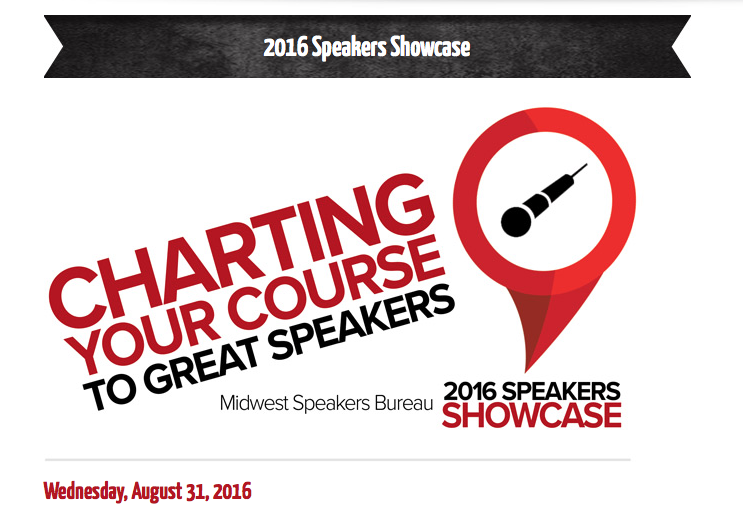 Both Angela Cox and Amy Hutchens from Midwest Speakers Bureau would love to visit with you and answer your questions. What else will you get? A feeling of confidence that you’ll find the help you need to chart your course and arrive at your destination successfully. And because the showcase includes humor and uplifting messages, you’ll get a personal boost to start you on your way. It’s not difficult to take the fastest route to meeting your goals; it happens when we navigate together. And recalculating becomes a thing of the past. This entry was posted on Saturday, July 16th, 2016 at 4:26 pm	and is filed under clean comedy shows, Speakers Bureau Showcase, Uncategorized. You can follow any responses to this entry through the RSS 2.0 feed. You can leave a response, or trackback from your own site. or give me a ring at 1-888-895-8549. ©2018 Rik Roberts. All Rights Reserved. Sitemap.